Wait. Before you head out to the vegetable garden to get rid of those pesky weeds, Cathy Isom tells you about a common weed that you actually want in your garden. That’s coming up on This Land of Ours. When it comes to weeds in the garden, we usually want them out. 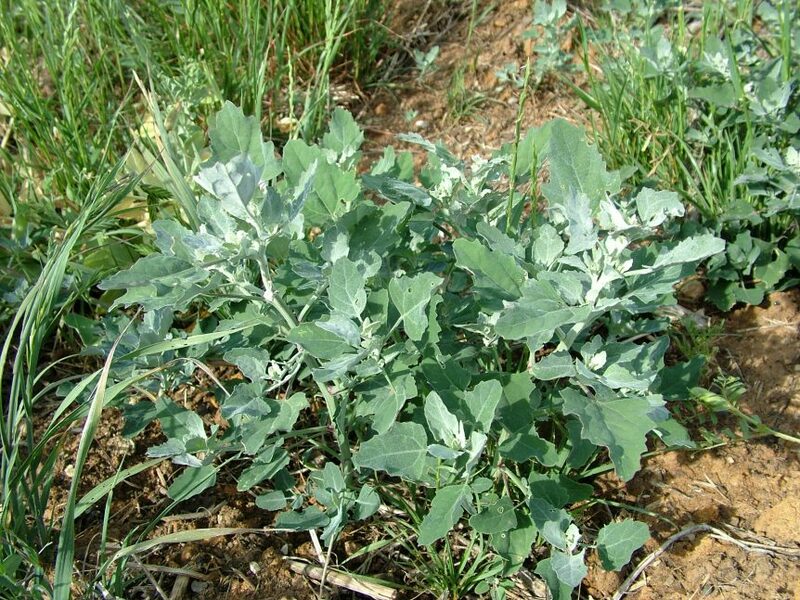 But Lambsquarter is a common weed you will actually want to keep IN your garden. It’s a member of the amaranth family that grows well in all soil conditions but is particularly adept at revitalizing the nutrients of poor soils. Found throughout the United States, its leaves, shoots, flowers, and seeds are edible. The really great thing about Lambsquarter is that it tastes great – with a creamy texture and a somewhat salty flavor slightly smacking of spinach. 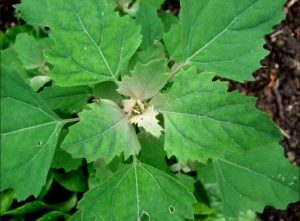 Lambsquarter has distinctive white leaves near the top of its center, and they are an indication of just how mineral-rich the plant is. The white dust covering the leaves is actually mineral salt that Lambsquarter has mined from the soil. A cup of Lambsquarter greens delivers a huge dose of Vitamins A and C, as well as several B vitamins. Like many other greens, it’s a good secondary source of protein and fiber to boot.